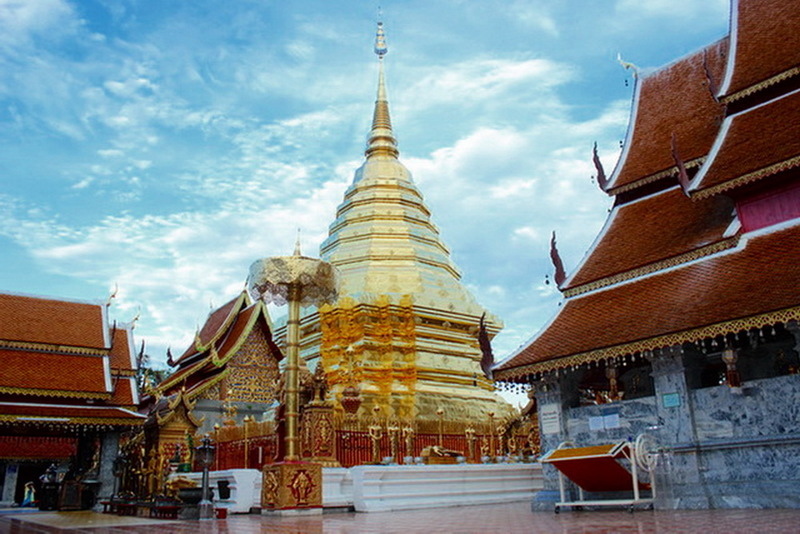 Wat Phra That Doi Suthep is a major pilgrimage destinations during the important Buddhist holidays of Makha Buja and Visaka. 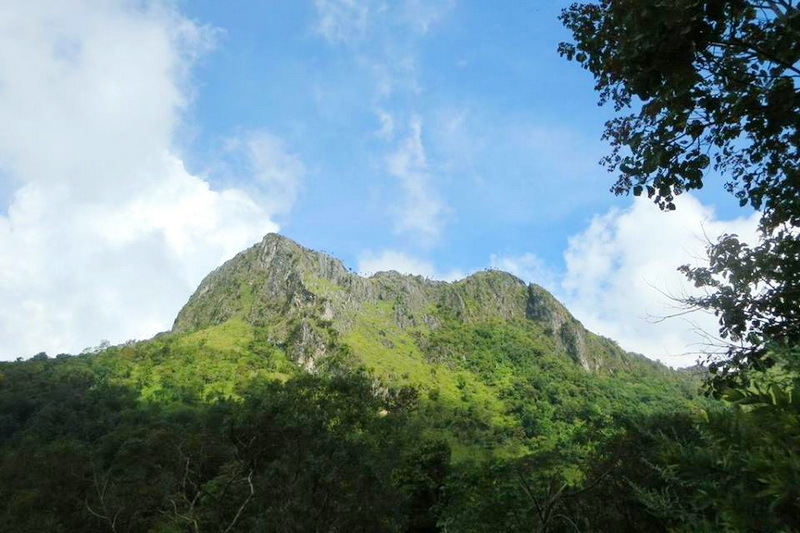 Its importance, as well as its location, owes much to the legend of its founding. 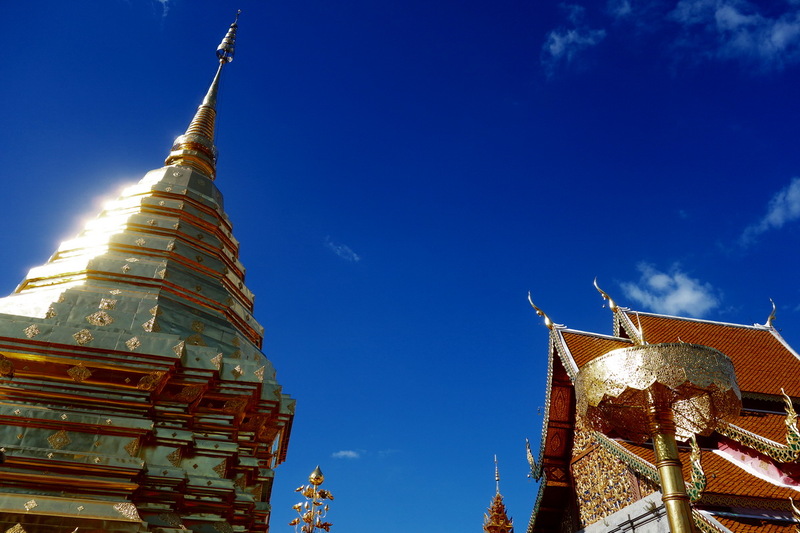 There are several versions of the legend of how the Wat Phra That Doi Suthep was founded. According to a popular version of the legend a monk from Sukhothai was in possession of a relic believed to be a shoulder bone of The Buddha. This relic was believed to have magical powers. 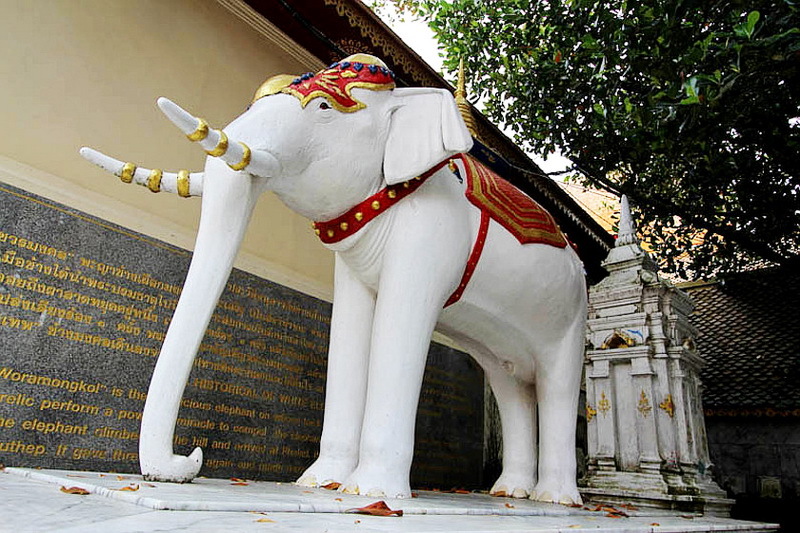 The monk took the relic to King Kuena, ruler of the Lanna Kingdom. On arrival at Doi Suthep you will be in a large car park, the temple complex is up the side of the mountain beside the car park. 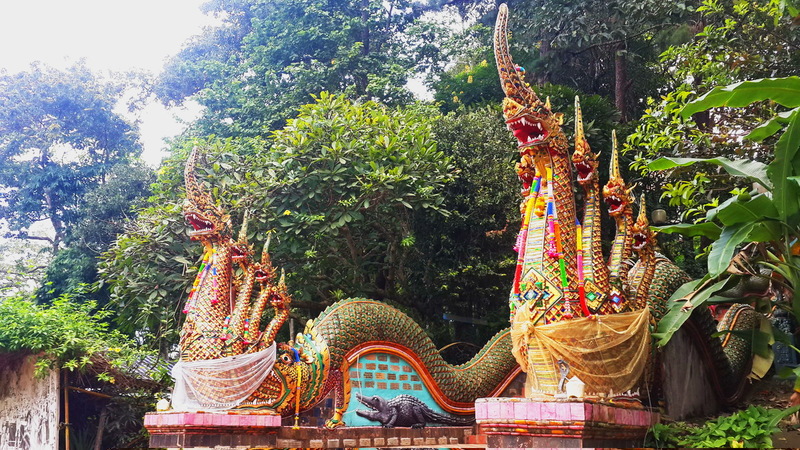 Doi Suthep temple is approached by a steep flight of 300 stairs flanked by green trees and guarded by 16th-century Naga (snake) figures. An easier, if less atmospheric, route is via an adjacent funicular. On the way up the stairs are these colorfully dressed children in traditional garb that will pose for you for a small contribution, you can also pose with them in the photos but I choose to capture them in a more playful way. The terrace at the top of the steps is dotted with breadfruit trees, small shrines, rock gardens and monuments, including a statue of the white elephant that carried the Buddha relic to its current resting place. Before entering the inner courtyard, children pay their respects to a lizard-like guardian dragon statue known as ‘Mom’. Steps lead up to the inner terrace, where a walkway circumnavigates the gleaming golden chedi enshrining the relic. 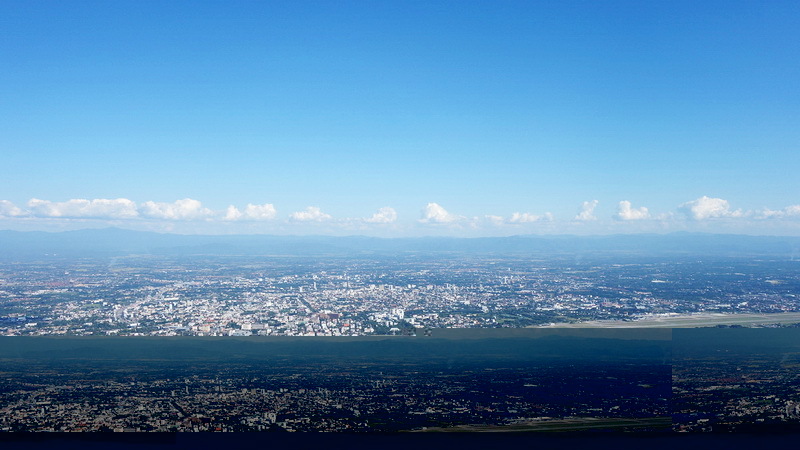 The crowning five-tiered umbrella marks the city’s independence from Burma and its union with Thailand. Pilgrims queue to leave lotus blossoms and other offerings at the shrines surrounding the chedi, which are studded with Buddha statues in an amazing variety of poses and materials. Surrounding the circular walk around the Chedi in the inner temple are a variety of Buddha statues with different poses. Made of various materials semi precious stones, the buddhas are grouped into stunning displays filled with texture, color and sizes. 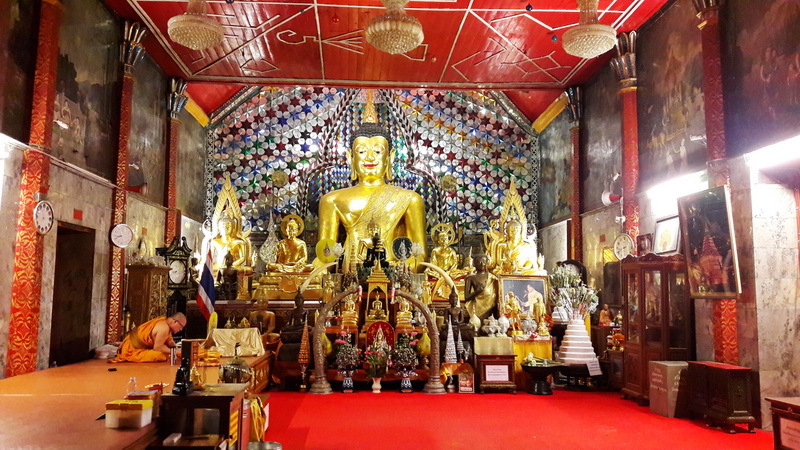 There are many little shrines surrounding the golden Chedi and when you enter, there are monks on elevated platforms that are there to give blessings to visitors and accept donations in exchange. Some do more elaborate chants and prayers that are fascinating to watch and observed these unknown rituals. There are a large number of shops and small restaurants scattered around throughout the park, especially near Wat Phra That Doi Suthep. Within the monastery compound, the Doi Suthep Vipassana Meditation Center conducts a variety of religious outreach programs for visitors. 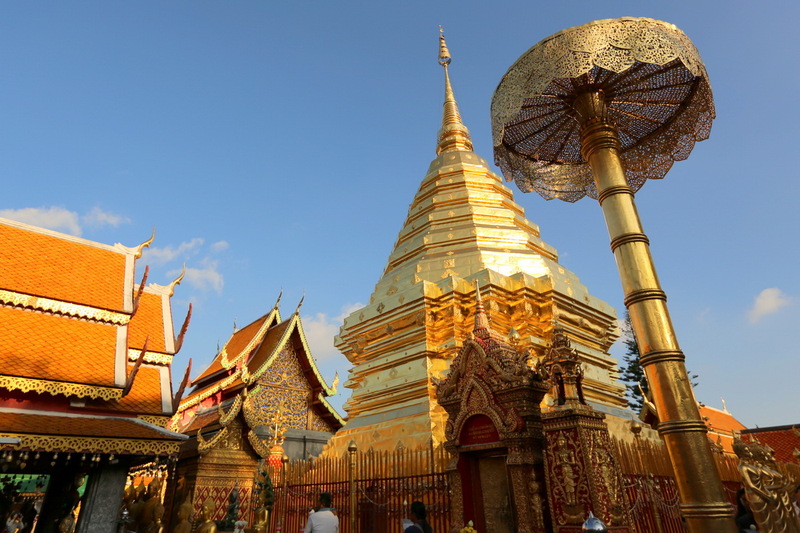 The Wat Phra That Doi Suthep is located on top of a mountain South of Chiang Mai city. 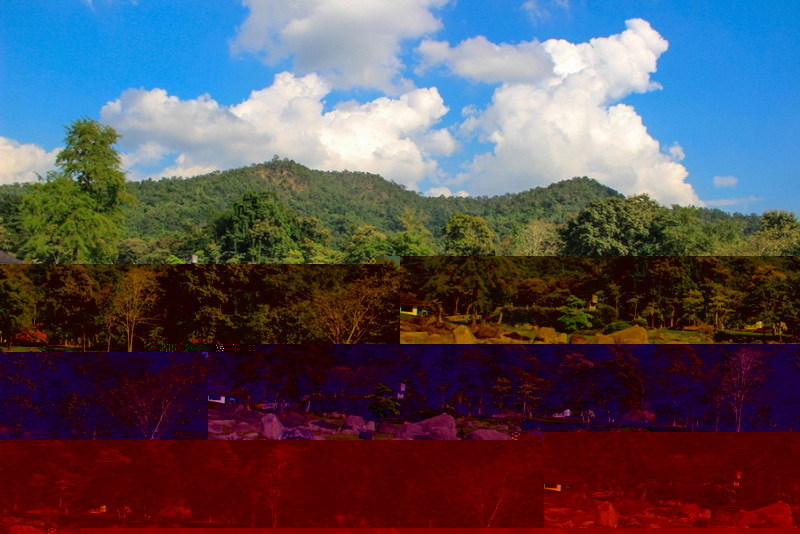 From Chiang Mai Zoo at the foot of the mountain and at the end of Huay Kaew Road, a good road winds its way up Doi Suthep for 15 kilometres. 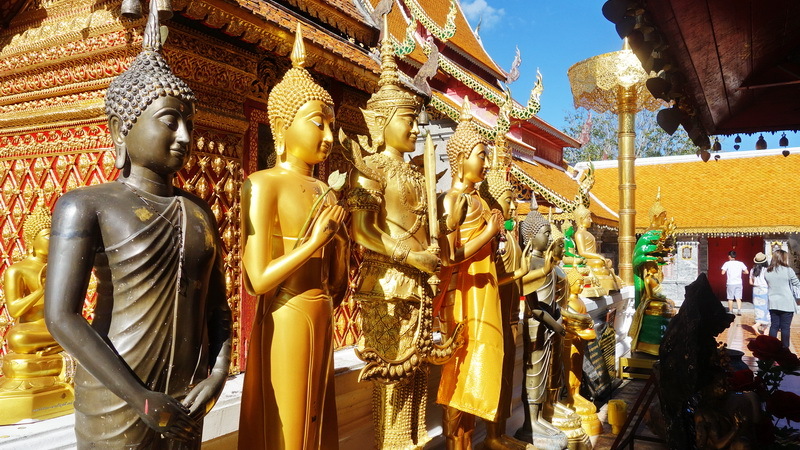 There are several ways to get from Chiang Mai city to the mountaintop temple of Wat Phra That Doi Suthep. 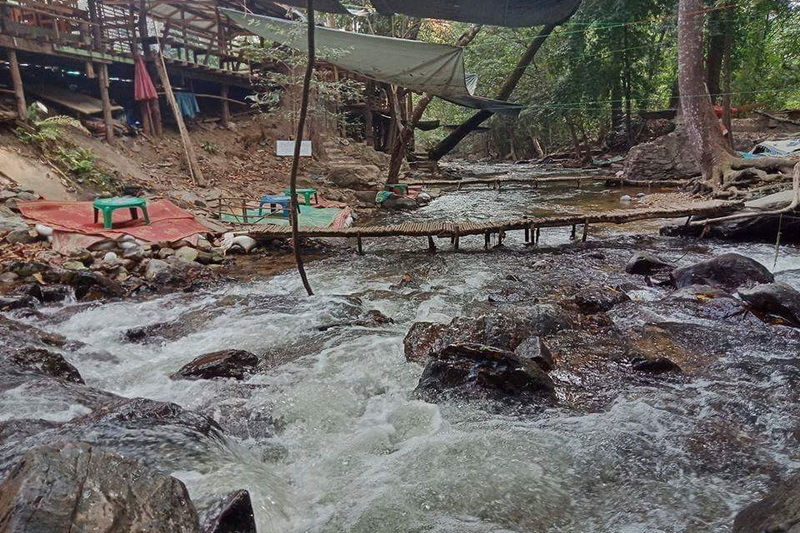 If you plan to go on your own, you can rent a motorbike, hike, get a ride in a red songthaew, hire a songthaew for the entire day, or do a tour to Doi Suthep. For people who tend to do tours, it’ll definitely make transportation easy since the location is over 30 minutes outside the city. 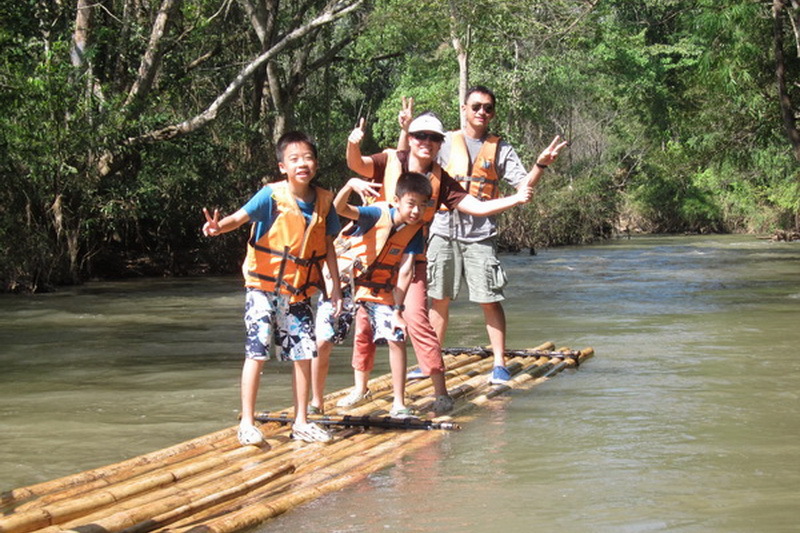 By making tour from Chiang Mai to visit this temple and the other attraction nearby like Bhubhing Palace (Royal winter Palace) and Doi Pui Hmong Village. 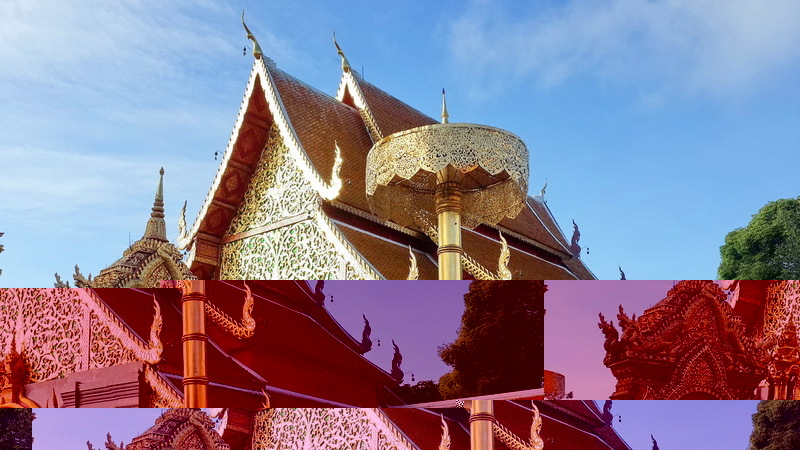 You can visit Wat Phra That Doi Suthep between 05:00 a.m. – 08:00 p.m.